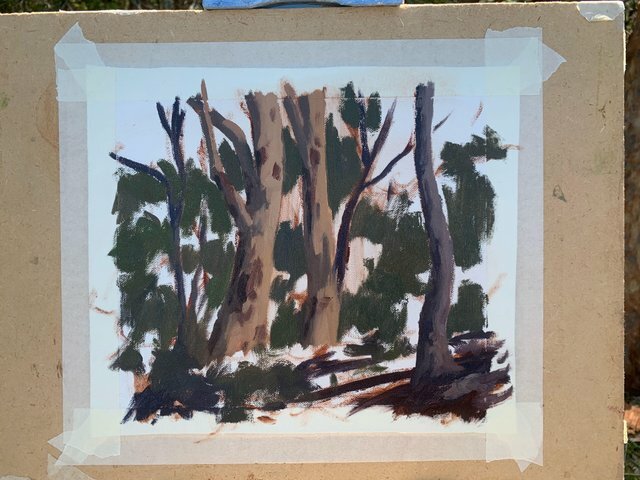 What trip to Australia would be complete without painting some gum trees. I love all the different colours you get in the bark of this tree genus. I painted this artwork in oils outdoors on location. The area is Lake Macquarie in NSW, Australia. 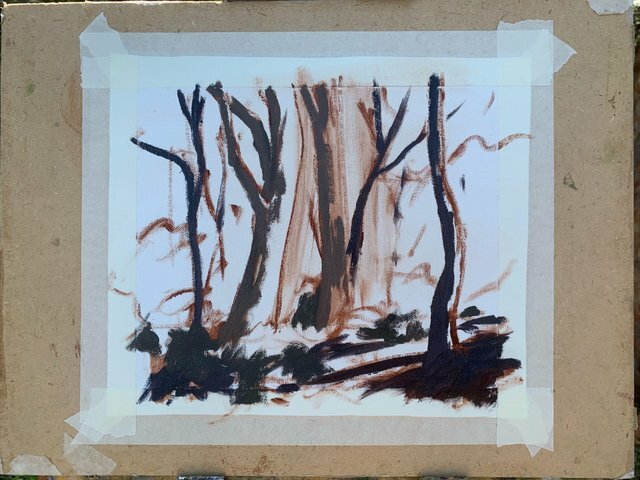 Painting outdoors is known as painting en plein air, French term for painting outdoors. Here are some of the painting process photos. I established the dark values / shadows first. I paint the shadows of the background foliage. 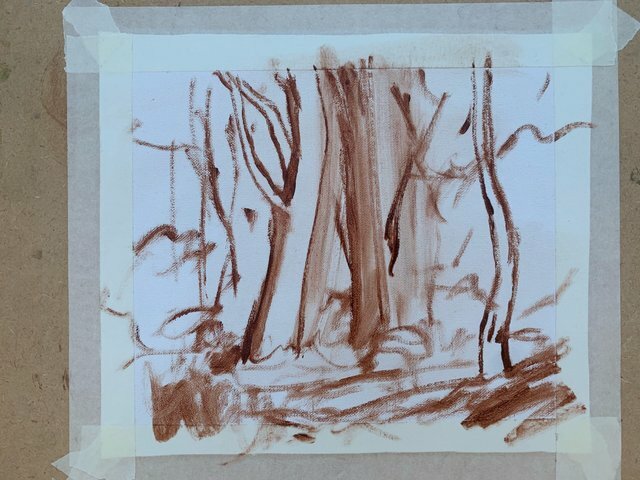 Next I paint the areas that are in light including the grass and foliage on the forest floor. 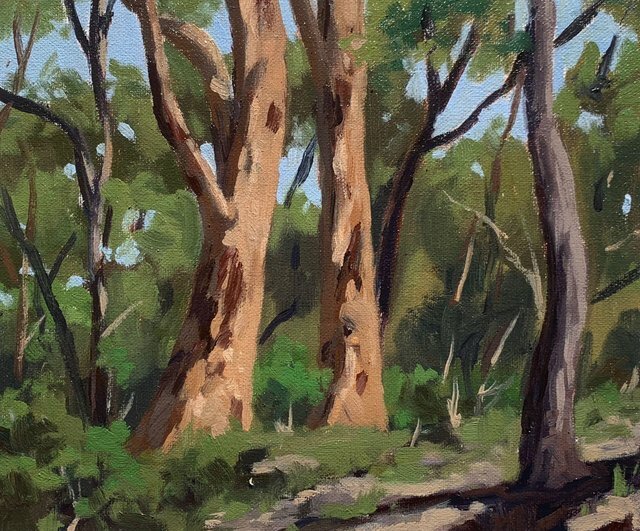 I model the paint on the gum tree trunks, the main area of interest in the painting. I save my lightest values until the end of the painting and I add final details. Beautiful painting @samuel-earp-art. Love how you painted the colors. Since this was an outdoor painting. You must be painted within few hours? or else you would be under the sun whole day. 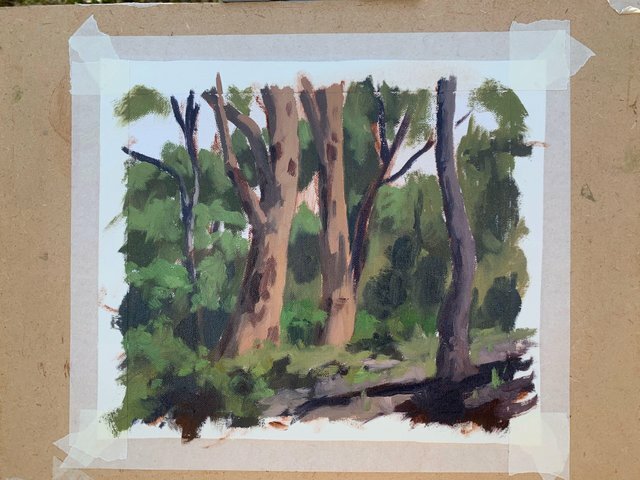 Your plein air painting is always a delight to see. Beautiful painting, Samuel :). Congrats for your curie vote ^_^. I really love to see work in process posts and this one is lovely. What a fun and peaceful time you are having. I do not have this talent, but it is wonderful to see how you create this awesome work. ooh I love your step by steps @samuel-earp-art, thanks for sharing this! 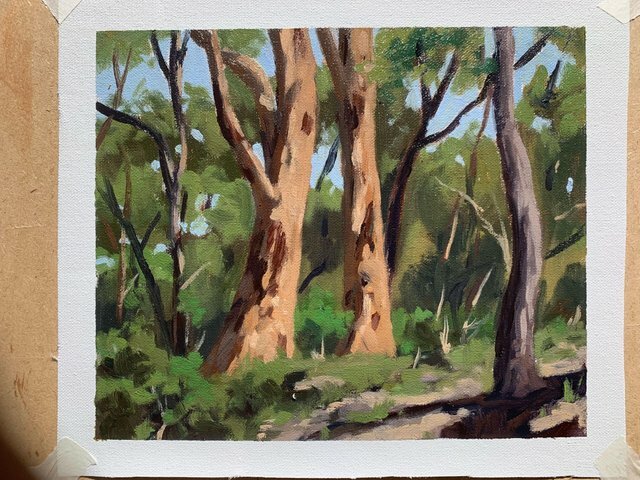 Gumtrees ! They are very aussie :D I have one in my backyard ! Ooo nice! 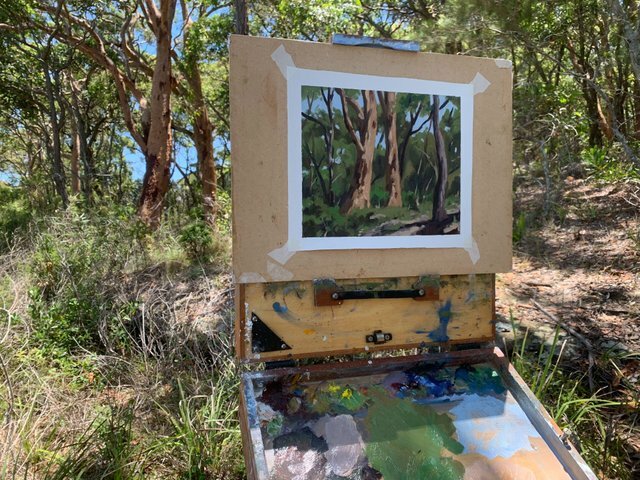 The gum trees look realistic (looking at your painting in the forest of gum trees. Thank you for sharing with us your process. Love it!